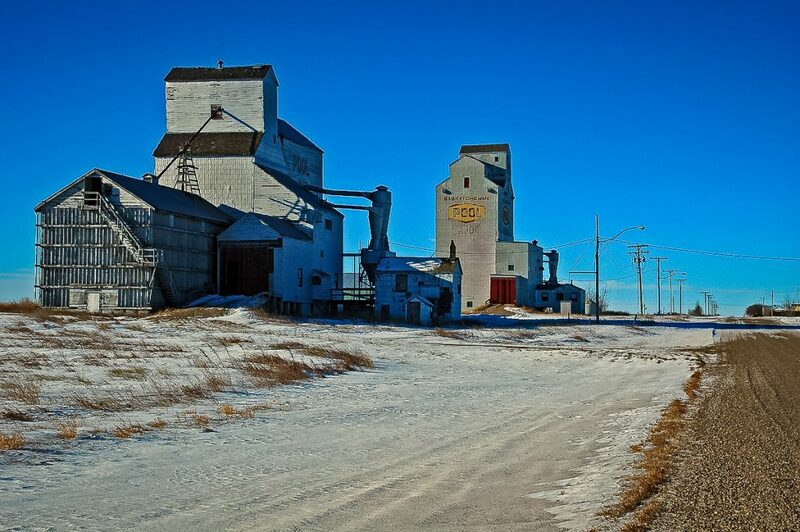 Grain elevators in Major, SK, Jan 2007. Copyright by Gary Rich. 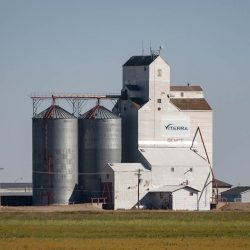 There are two grain elevators in the town of Major, Saskatchewan. 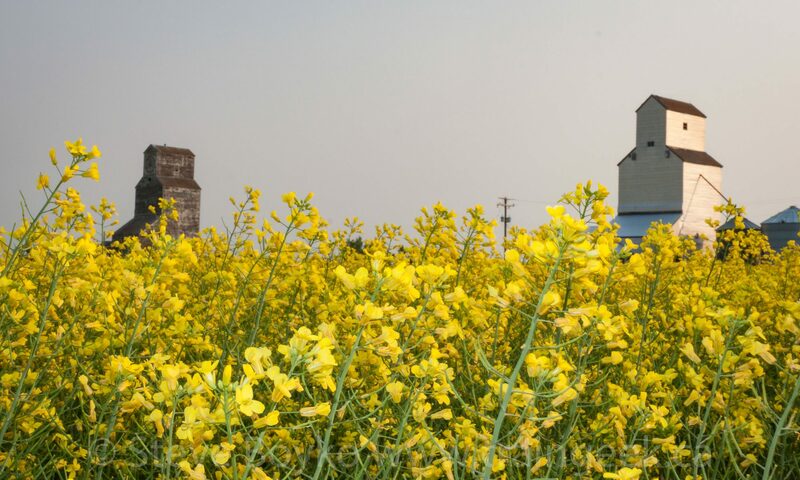 Both are lettered for the Saskatchewan Wheat Pool but are now privately owned. One elevator features an integrated annex. The other has two annexes, one crib annex and one horizontal annex.